Relaxing in the shade at my cousin's cottage... Teufelsmoor (Bremen). 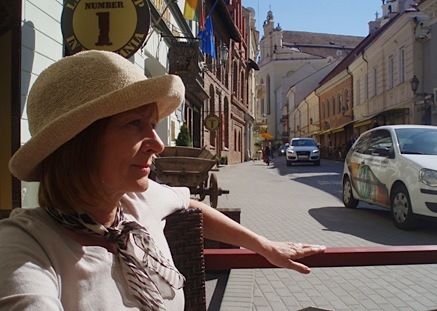 Taking in the rays and people-watching, downtown cafe, Vilnius, Lithuania. 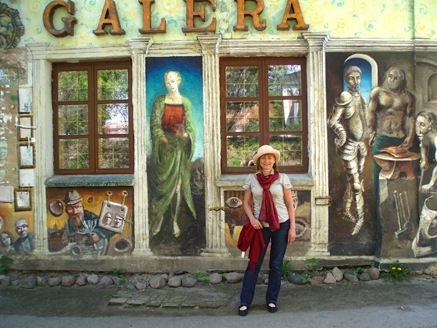 Checking out the ample galleries and hidden cultural gems... Vilnius. 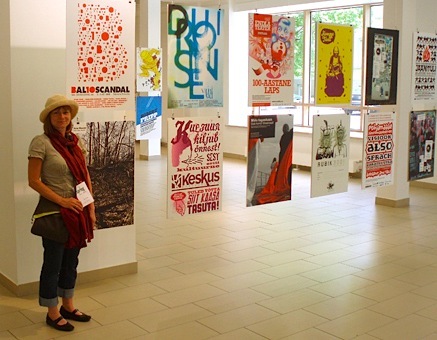 Looking at a selection of design posters at the Vilnius Academy of Arts. 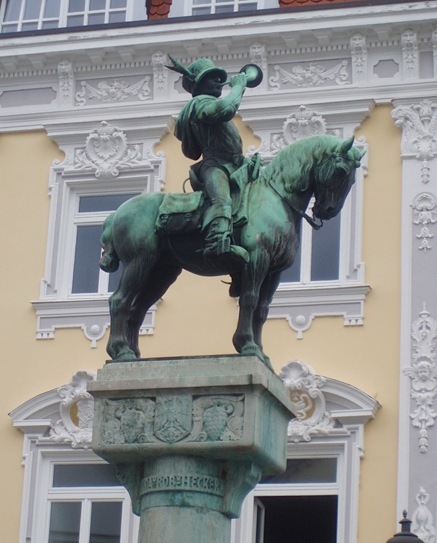 One of many sculptures in the beautiful old city of Esslingen, Germany. 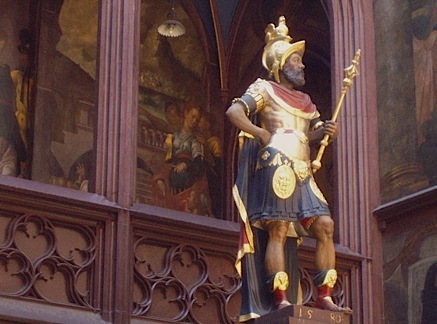 One of numerous gilded sculptures in Basel's 13th-century city hall (Switzerland). 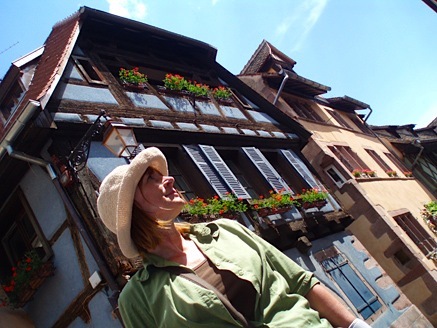 Enjoying the romantic village of Riquewihr in the Alsace, France. "So happy, together..." at the source of one of Freiburg's 'baechle', freshwater streams that provide many of the streets in the old city with natural cooling. The past few weeks have been a blur of activity… left Winnipeg in a snowstorm on 1 May, spent 5 days in Toronto (with my boyfriend Rob, who was speaking at a design conference there), then on to full-blown summer in springtime Europe. 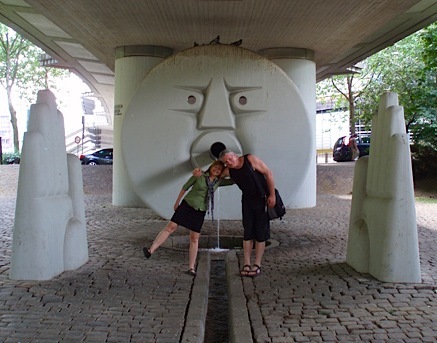 After a stretch of over a decade, I enjoyed the opportunity to revisit my birthplace in/around Bremen, in northern Germany; highlights included reconnecting with extended family members (thanks to cousin Astrid & hubby Rainer in particular, for putting us up at your summer home), visits to Bremen’s old city centre, and art exhibition visits. Then, a night in Frankfurt (where Rob grew up) before catching the next flight. Next, on to Vilnius, Lithuania, where Rob participated in the Icograda Design Week, ‘Spring!’ While he attended meetings and conference sessions, I enjoyed strolling through the old city, sight-seeing, visiting galleries and the art school’s ceramics department, sampling local delicacies, and a day-trip to historic castles, etc. 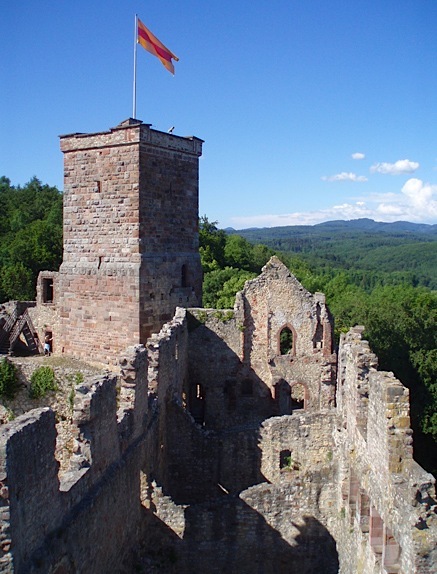 Back to Frankfurt, speedy autobahn (rental car) to Esslingen, Germany, to visit designer colleagues. 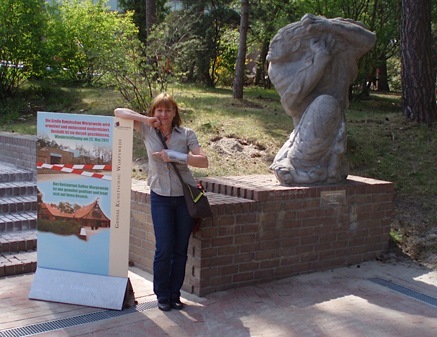 Rich cultural experiences in the old town (lots of public sculpture, beautiful medieval buildings, a visit to hillside vineyards, etc. )… then on to Switzerland for a visit with more of Rob’s designer friends (studio in a 200-year-old converted farmhouse—exquisite). 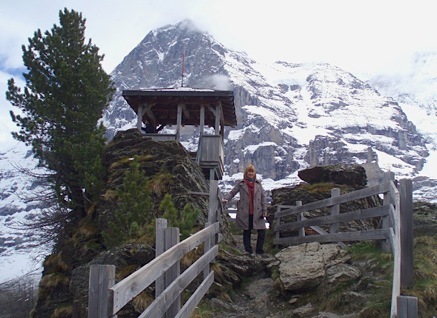 The next day, seizing a window of good weather, south to the Swiss Alps for a touristic romp (I’d long been promised a visit to the Eiger, Moench, and Jungfrau). 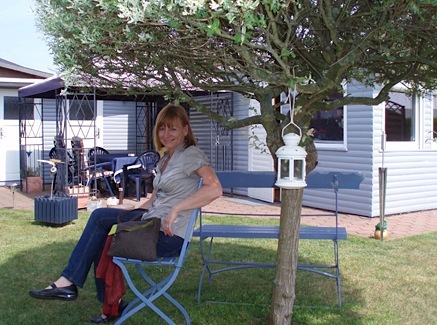 It’s certainly handy being able to stay with friends and family—Phil and Tammy Peters (Rob’s younger brother) opened their home to us (they live in the quaint Black Forest town of Holzen, near Kandern, replete with dozens of nesting storks!). This provided a convenient home base for day-trips to Basel (Switzerland), Loerrach (Germany) and villages in the Alsace (France)… lots to do, certainly not enough time to explore all interests. Our last two days in Europe were spent with our friend Silvie Engel in the famous 12th-century German university town of Freiburg, where we took in numerous cultural sights and art encounters, visits to flea-markets, and of course beer-gardens. Three weeks of new sights and experiences—feels like my well has indeed been filled!